DelhiGreens wishes the Father of our Nation – a very Happy Birthday! 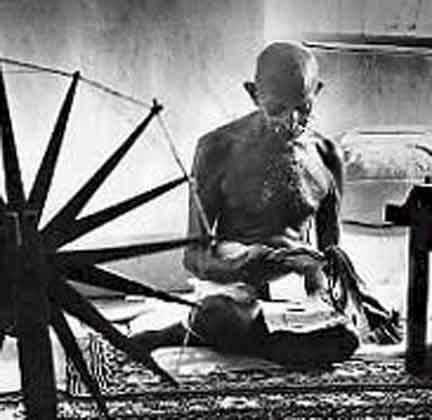 From spinning the wheel to rotating the turbine – each and every Indian policy has taken a 180 degree turn – since Independence. However, his teachings and his lifestyle are more relevant today than ever before. Mahatama Gandhi was no doubt an excellent political leader but he was also one of the greatest environmentalist to have walked the earth. “The Earth has enough for man’s need but not enough for man’s greed” is what this great visionary had to say – much before the concepts of sustainable development, etc. were even thought of. His concept of non-violence, simple living and high thinking, decentralization, local governance, etc. etc. are still the need of the hour and required if we have to even think towards making India shine! conditions of the communal riot victims. This Gandhi Jayanthi, we should really call for an “India quit oil” movement and put our country, and the planet on a track towards sustainability. It is after all, our “tryst with destiny”!